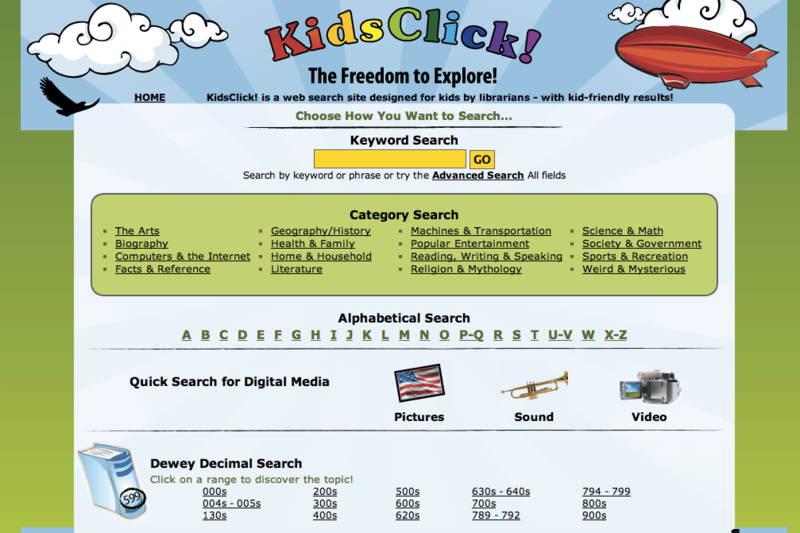 Kidsclick.org is a web search engine specially created for kids. Through this site you can search for coloring pages online, as well as online computer games, coloring art sites, and fun learning games. Choose a category featured on Kids Click! and search for books about science and math, coloring art, society, or computers. If you want to play online computer games, feel free to search on Kidsclick.org for fun learning games. In addition, this site features a database with coloring pages and coloring art sites you can visit online. You can also search for lessons and a variety of tools. Therefore, if you are looking for fun learning games, navigate through Kidsclick.org to search for online computer games and coloring pages. A variety of content for kids is available on this site, such as coloring art lessons, online computer games, and much more. Feel free to check this site out.